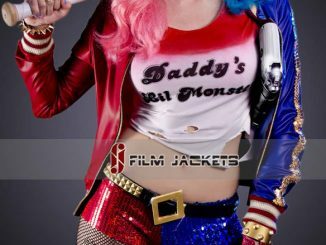 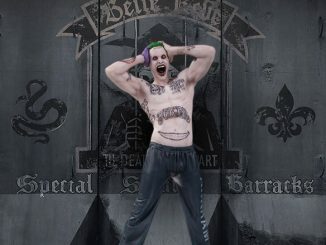 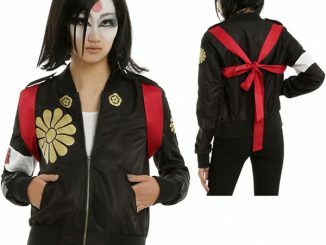 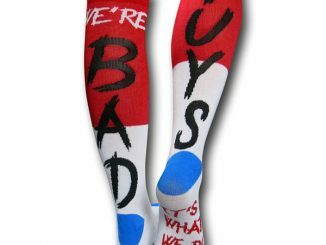 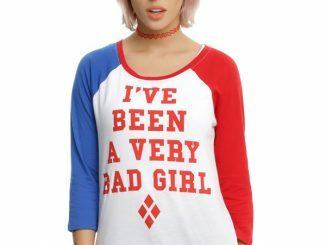 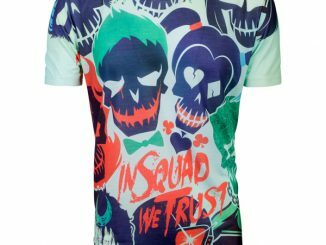 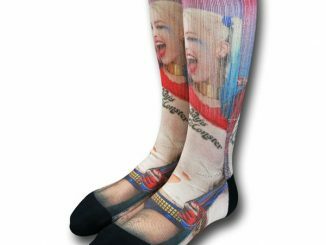 You have the deadliest sense of humor around and the most eye-catching emerald hair that anyone has ever seen, which means the Suicide Squad The Joker HAHA Guys Jacket was made for you. 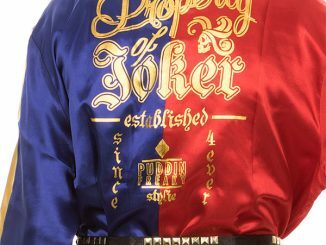 Let your inner Clown Prince of Crime free with this 97% cotton/3% spandex jacket that insures that you ALWAYS have the last laugh. 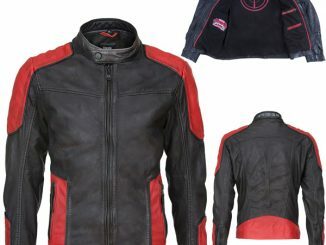 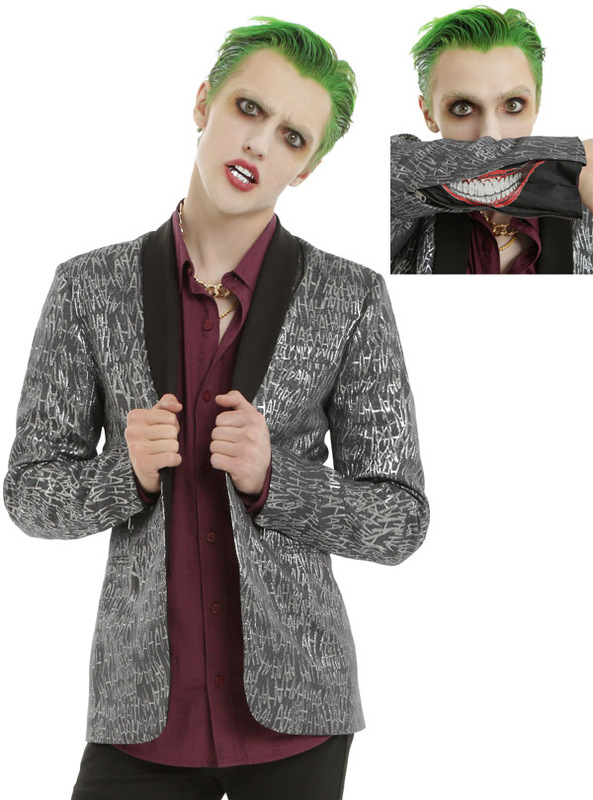 You can even toss in a creepy Joker smile, thanks to zipper accents on the sleeves that reveal a Joker mouth graphic. 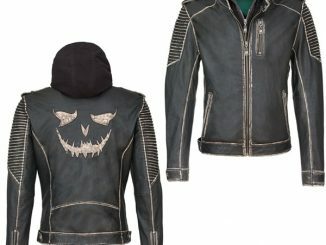 The front and back of the jacket is covered in the Joker’s maniacal laughter. 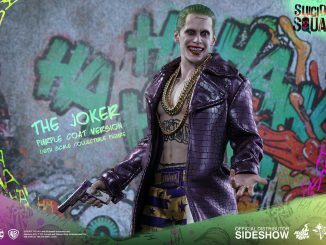 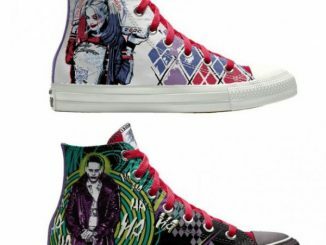 The Suicide Squad The Joker HAHA Guys Jacket will be available July 22, 2016 but it can be pre-ordered now for $69.90 at Hot Topic.